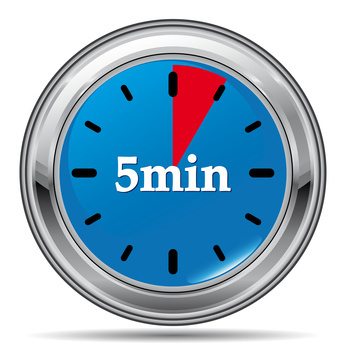 Hebraic Roots in Five minutes!!! I had a friend who is from the Phillipines who is an evangelist. She was asking me “What do I tell people who say ‘I just want to study the Bible. I don’t need to know about Hebraic roots’? It was a good question, and since she is from the Phillipines, I thought about people from other countries and how difficult it is to communicate anything if there are major cultural differences. So i endeavor here to do this in five minutes. On your mark. Get set. Go. We are going to look at Jesus. Jesus name in Hebrew is Yeshua. That’s what his mommy called Him…I got saved, born again, Spirit-Filled and empowered by the name of Jesus. It matters not to me what you call Him. But since I have a heart for the Jewish people, i will call Him Yeshua. Yeshua was a RAbbi. We know that He wasn’t called Reverend so and so or Pastor-Man. So we have to think like a Rabbi thought back in the first century. A rabbi invited people to take His yoke upon them. The yoke He was talking about was called “The Torah”.Torah means “instructions from God”. Yeshua had someone prepare His way. His name was Johanan (john) the Immerser. JOhn said, “Repent and be baptized”. In order to take the Yoke of Yeshua, you had to repent. If you did not, you were not letting Him be in charge. Yeshua also said, “Repent for the Kingdom of Heaven is at hand”. He said, “Kingdom” becuase a kingdom is ruled by a king and has rules. Those rules in Yeshua’s day and our day now, is the Torah or instructions from God. Those who followed a rabbi were totally devoted to Him. Yeshua taught us how to correctly understand and interpret the Torah. If we do not follow Him, we will not know how to do it. He shows us with words, and actions, and by the Power of His Spirit. What we have not done, in this day and age, is allow Him to correctly interpret the Torah for us. We have allowed man. We know this because there is a great awakening in the body of Christ. If we were not asleep, we would not have to be awakened. That is Hebraic roots in a nutshell. Okay guys I went 2 minutes beyond this. Your turn. I am a messianic whatchamacallit. Hard to overcome a 1700 year old false paradigm in 5 minutes, but here us a great shot! This is a blog that explores G-d's plan for both Jew and Gentile.